Edward William Allen, age 96, of Joplin, Missouri, died Monday, March 26, 2018, at Freeman Hospital West in Joplin, Missouri. He was born December 3, 1921, in Paden, Oklahoma, the son of Fred H. and Rosa (Holder) Allen. Edward grew up in Oklahoma. 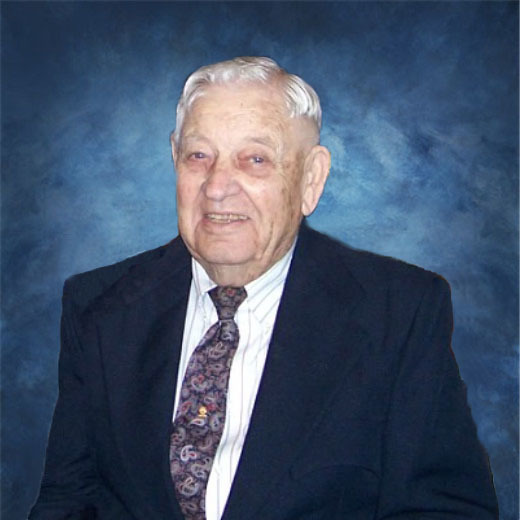 He worked on the family farm until he served in the United States Army during World War II. Edward married Rowena Hoggatt on April 20, 1942, in El Reno, Oklahoma. After his honorable discharge, he went to work for Cities Service Gas Company in 1941 in Drumright, Oklahoma. He worked a number of years at Pampa, Texas, and Ulysses, Kansas, from 1954 – 1960. After a career of 41 years, Edward retired in 1982 in Miami, Oklahoma. In 1988, Edward and Rowena moved to Joplin, Missouri, from Baxter Springs. He enjoyed playing golf at Schifferdecker Golf Course. He prided himself in walking the complete course. Edward also bowled for many years with the Prestige League, and was a longtime member of Harmony Heights Baptist Church in Joplin. Survivors include daughter, Sue Higgs and husband Carl of Ulysses; son, James Allen and wife Anna of Joplin, Missouri; five grandchildren, Sherry Annis and husband Beaty of Ulysses, Steve Higgs and wife Bobbi of Ulysses, Chad Allen and wife Justine of Olathe, Kansas, Shannon Robbins and husband John of Wills Point, Texas, and Ryan Allen of Dallas, Texas; 13 great-grandchildren, and two great-great-grandchildren. Edward is preceded in death by his parents; wife, Rowena; brother, Isaac Allen; sisters, Ruth Martin and Violet Tiberghien; and granddaughter, Shelley Dawn Higgs. Graveside service will be Saturday, March 31, 2018, at 2:00 PM at Ulysses Cemetery with Reverend Todd Guinn officiating. Military rites will be conducted by Dexter D. Harbour American Legion Post #79. Visitation will be Friday, March 30, 2018, from 5:00 PM until 7:00 PM, with family present, at Garnand Funeral Home in Ulysses. Memorial contributions may be given to Harmony Heights Baptist Church or donor’s choice in care of Garnand Funeral Home, 405 W. Grant Ave, Ulysses, KS 67880.